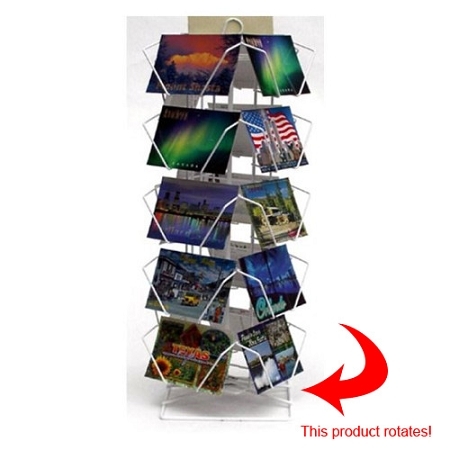 20 Portable Horizontal heavy gauge wire pocket spinner revolving display for popular scenic view 4" x 6" postcards. FULL View - 1 1/2" deep pockets for up to 100 cards. Fully assembled with a built-in sign holder. White or Black powder coated finish. You will never know what you did without it at your conventions and trade shows. I bought this spinner in black to do a postcard guestbook at my wedding. I looked for a long time to find a display that was the right size and didnt cost a fortune. This spinner was ideal - good height, clean look and fits 4x6 postcards perfectly. 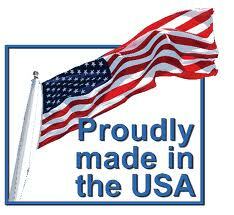 Shipping to Canada was very reasonable and package arrived incredibly quickly. Very satisfied. This postcard display stand was ideal for our needs! We were able to display the materials from all of our participating authors during a literary conference and it gave us an organized, professional appearance. It is easily carried and easily stored until our next event. Great product at an affordable price!